Jungle Book, The (film) A human boy, Mowgli, is raised in the jungle by wolves until it is deemed unsafe for him to stay because of Shere Khan, the tiger, who has vowed to kill the mancub. Bagheera, the panther, is selected to accompany Mowgli on his journey back to civilization, but has a difficult time because the boy does not want to leave. Meeting Baloo the bear, a lovable “jungle bum, ” Mowgli is even more certain he wants to stay with his friends. But after an encounter with the mad King Louie of the Apes, and pressed to return to the man village by Baloo and Bagheera, Mowgli runs away. Alone in the jungle, he meets Shere Khan, but only after the last-minute intervention of his friends does he manage to defeat the tiger. Soon after, he meets a young girl from the man village and willingly returns to civilization. Released on October 18, 1967. Directed by Wolfgang Reitherman. Rudyard Kipling’s classic tale of the jungle was the last animated feature Walt Disney supervised. 78 min. 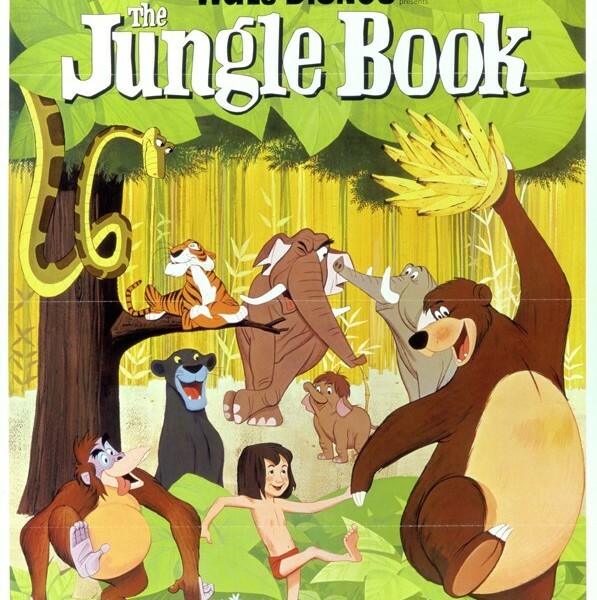 Featuring the voices of Phil Harris (Baloo), Sebastian Cabot (Bagheera), Louis Prima (King Louie), George Sanders (Shere Khan), Sterling Holloway (Kaa), J. Pat O’Malley (Buzzie), and Bruce Reitherman (Mowgli), the film became one of Disney’s all-time box-office winners. Richard M. Sherman and Robert B. Sherman wrote the songs, which include “I Wanna Be Like You,” “Trust in Me,” “My Own Home,” “That’s What Friends Are For, ” and “Colonel Hathi’s March,” and Terry Gilkyson provided the Oscar-nominated “Bare Necessities.” It was re-released in theaters in 1978, 1984, and 1990. Released on video in 1991 and 1997. A live-action version of the story was released in 1994.